"My ultimate goal with the farm is to make it totally energy independent," says Martin de Groot, Owner of Mapleton's Organic Dairy. "We're always striving to produce our ice cream with as little impact as possible," notes Martin. "Going organic back in the nineties and cutting out chemicals and nitrogen fertilizer was the first big step," he says. "Not only are we concerned about the safety of these substances, but they need to be manufactured and that takes a lot of energy." Recently, Mapleton's achieved another milestone by reducing reliance on non-renewable sources of electricity. 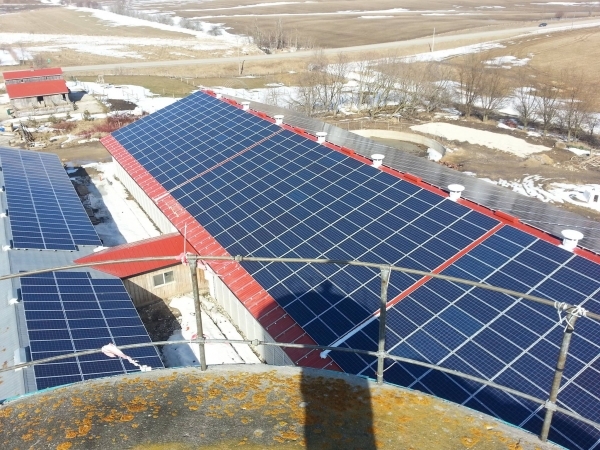 This was achieved when 1254 solar panels were installed at their 600 acre certified organic farm over the winter. "We use a lot of electricity on the farm – to run our barn and our dairy where we produce organic ice cream, yogurt and other products," Martin says. "With the solar panels in place we not only generate enough renewable energy to equal what we consume, there is also excess energy being created," he notes. "It was a huge undertaking. A lot of elements needed to come together for a project this large," says Martin. "It definitely required a lot of persistence and determination on our part." The project started with support from Martin's son Egbert and daughter-in-law Adrienne, who are both engineers. From concept to completion the project took two and a half years. The panels are installed on four different buildings including two barns, a drive shed and a hay shed. Each panel weighs 23 kilograms and contains 72 solar cells. Jill Tymchak, Solar System Engineer for 3G Energy coordinated the installation on-site at the farm. "One of the great things about this project is that the solar panels are not far from loads so energy loss during transmission and distribution is lower," she notes. "Roof top solar is also exciting because it doesn't require any additional land to be set aside for the project," Jill adds. The panels were attached over a three month period starting in the fall of 2014. The combination of metal roofs and snow made installation challenging but with patience everything was completed. At the beginning of March the system was connected to the power grid and turned on. To improve the chances of receiving a FIT contract, and in the spirit of community engagement, Martin invited LIFE Co-op of Kitchener to own 15% of the project. "Our members are green minded and very interested in organic agriculture, so this project at Mapleton's struck a chord with our members immediately," says Shane Mulligan, General Manager of LIFE Co-op. "Solar makes a valuable contribution to the provincial grid, since it knocks down the peak of energy demand," says Shane. "While Ontario residents are relying on air conditioning to stay cool, those same hot rays of sunshine are generating electricity via solar panels. This results in 'peak shaving' and it reduces the need for additional infrastructure," Shane notes. Now with longer, sunnier days Mapleton's is ready to celebrate with their "Solar Panels and Sun Catchers" event on Friday June 12th. The event will include live music, an organic barbeque and tours led by Martin about the solar project. 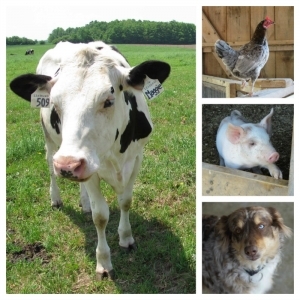 Mapleton's Organic farm is located south east of Palmerston in Wellington County. 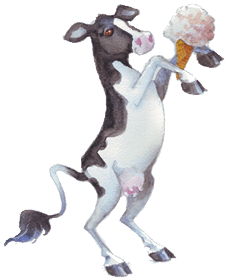 Their on-site dairy produces ice cream that is sold across Canada, as well as yogurt and other products sold across Ontario.